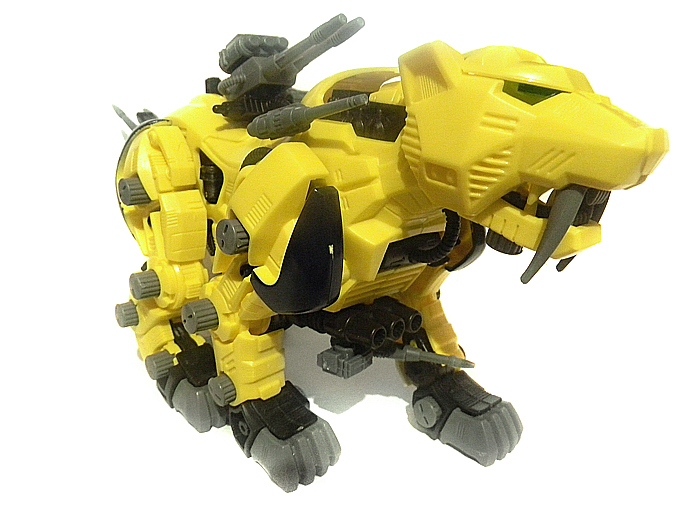 When Hasbro released the Zaber Fang, they decided to release it in the colors of Zoids NC0's Tiger's team. 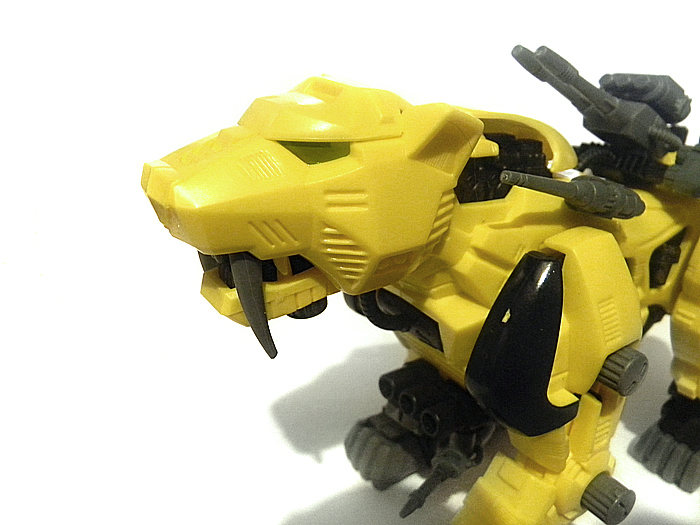 These guys had golden yellow Zaber Fangs, with blue-black shoulders/thighs. 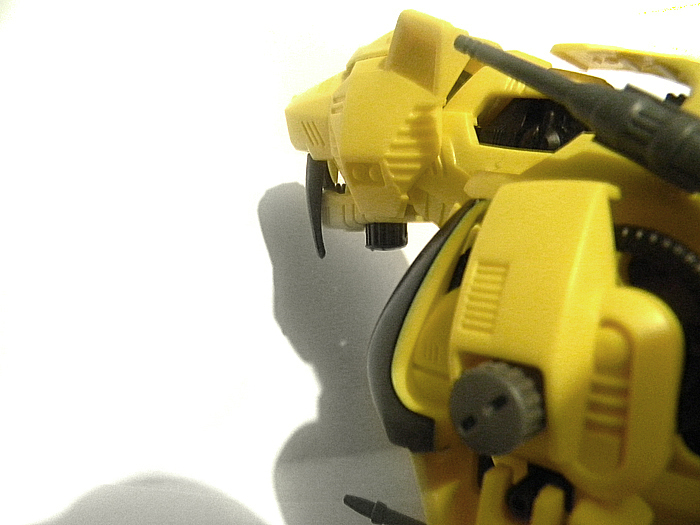 The Hasbro version has a very unusual shade of yellow that is almost impossible to photograph. 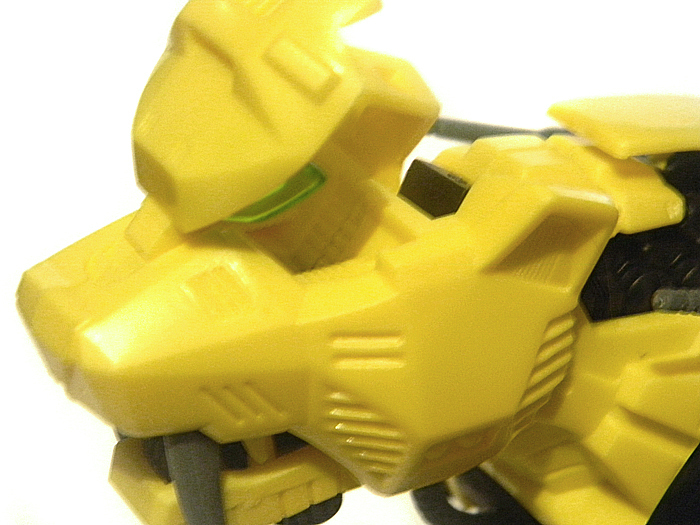 It has a sort of greenish, or highlighter yellow tint to it. Some photographs are edited digitally to try to bring out these colors. 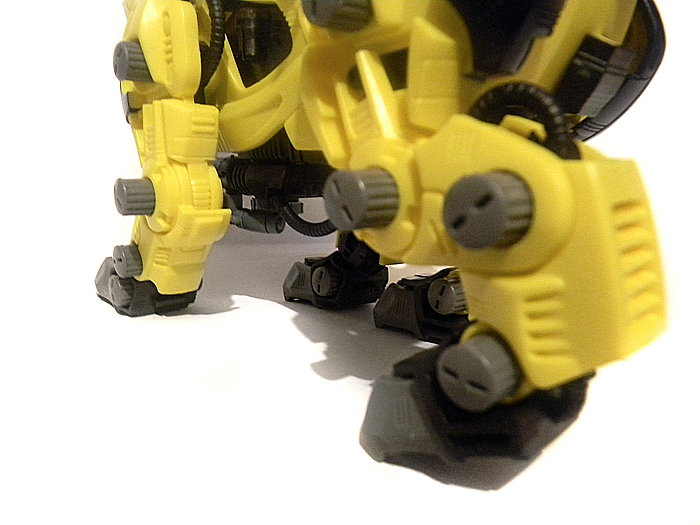 Like the Holotech, there really are no qualms about this kit. 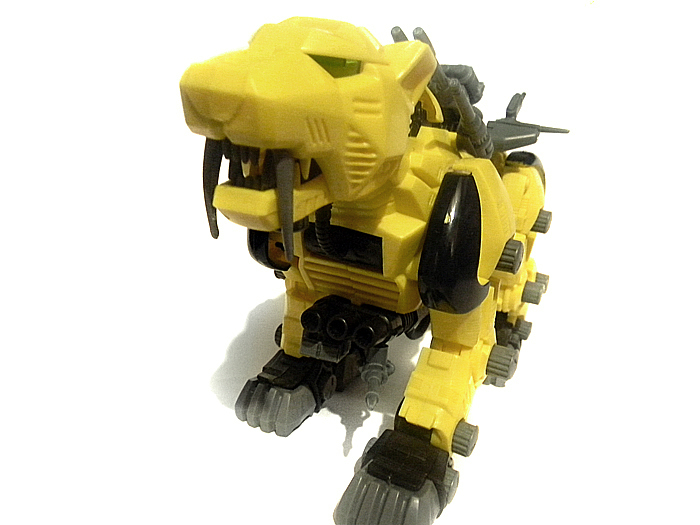 It's got nice quality, the plastic isn't fragile, it barely scars (the yellow, at least), it's got the same number of weapons, and a lot of detail, for a kit that's so fast and easy to build. 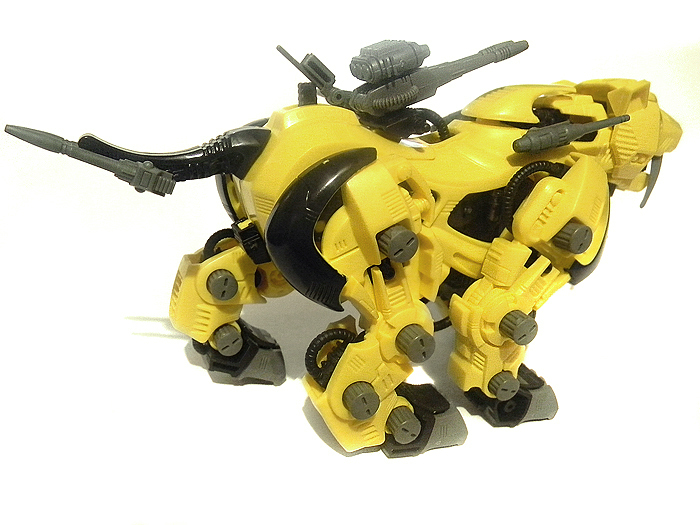 Zaber Fang's cockpit opens up, like most Zoids. It doesn't have much detail, sadly, but still. Unfortunately I forgot to put the pilot in before taking the photos. 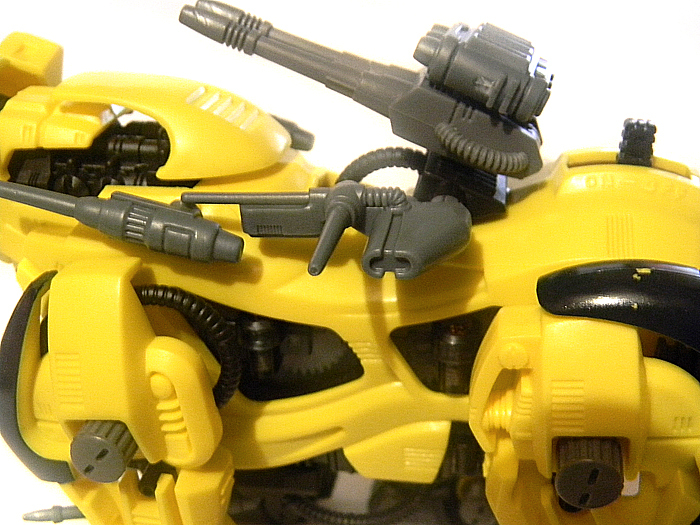 Two guns on either side of the back provide some nice forward-facing waepons. 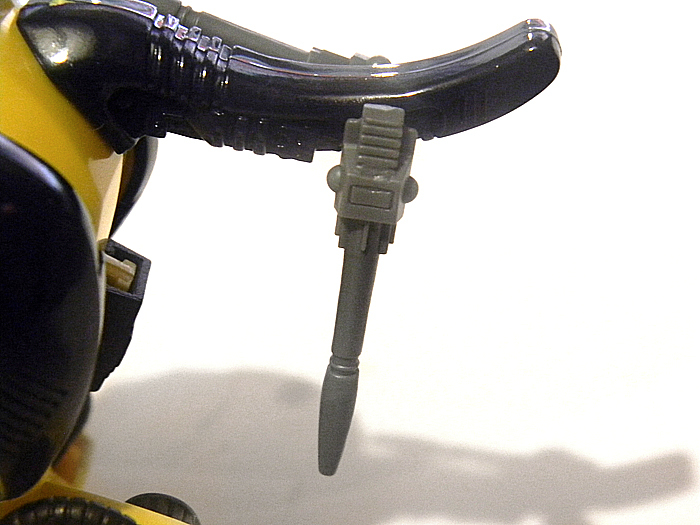 Attached on a peg, they can rotate quite a bit, but are a bit difficult to attach securely. 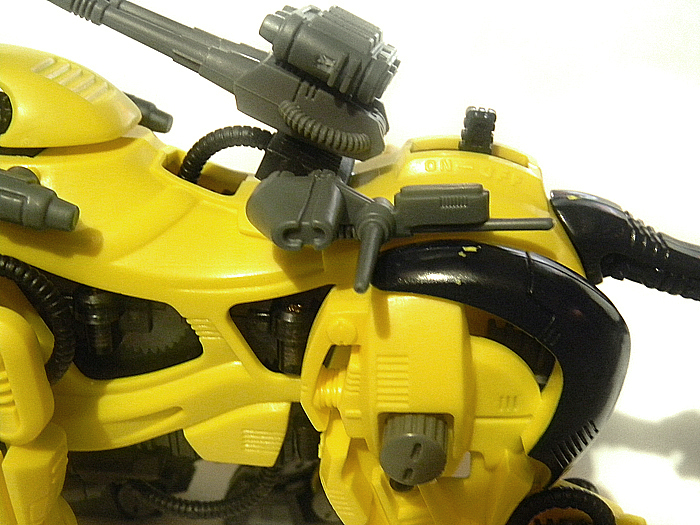 The back equipment provides quite a lot of room for extra weaponry. 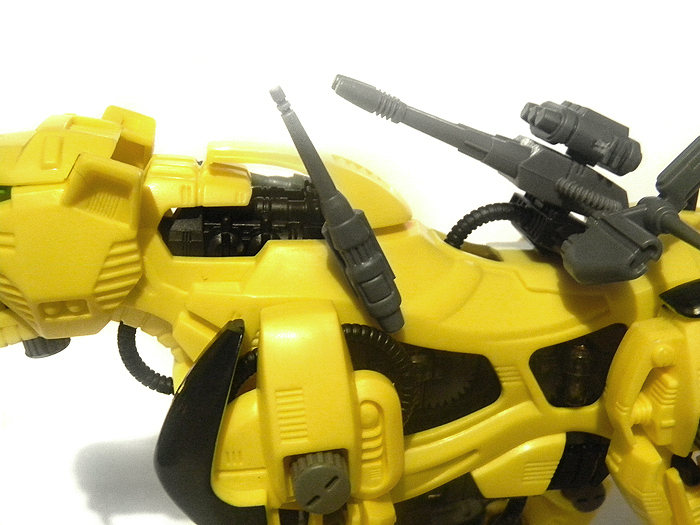 At the very least, you can fit another gun on the side opposite to the radar antenna. 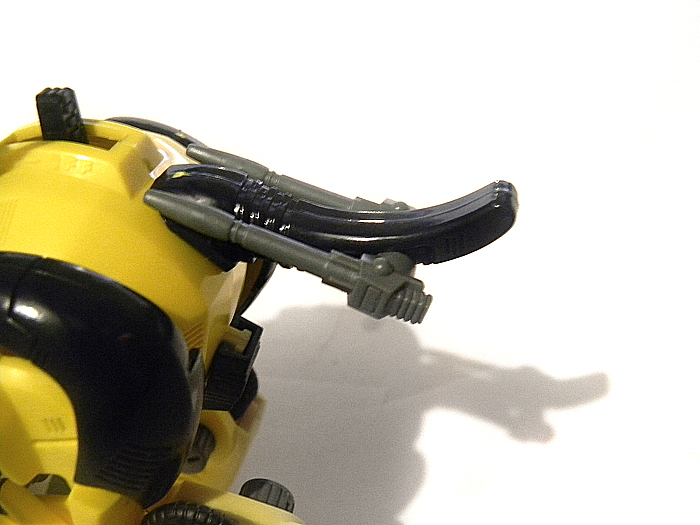 The back gun is made up of two separate pieces/weapons, and can swivel around with a good range of motion. 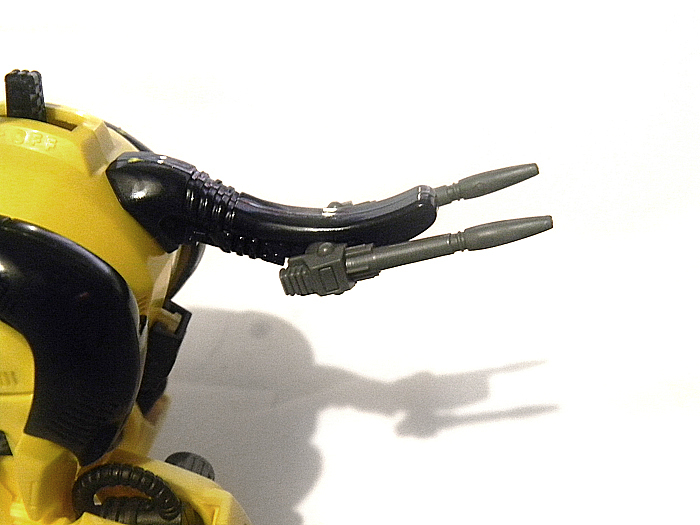 The radar antenna can rotate around, forwards or backwards. 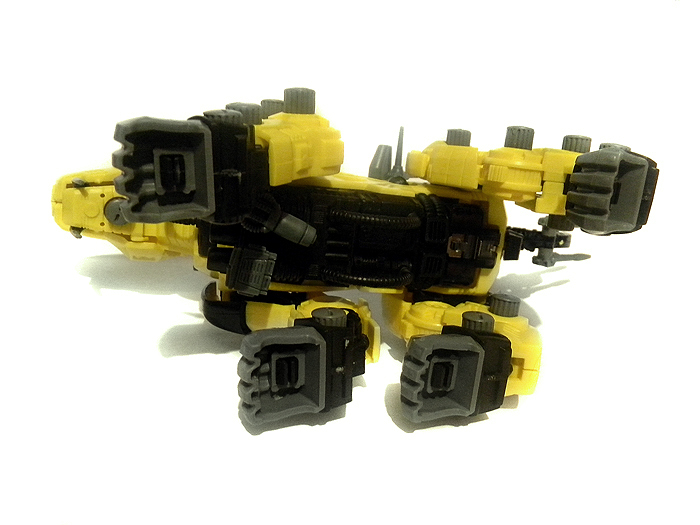 Both tail guns are rotational as well. They justt rotate in a circle, forwards or backwards. 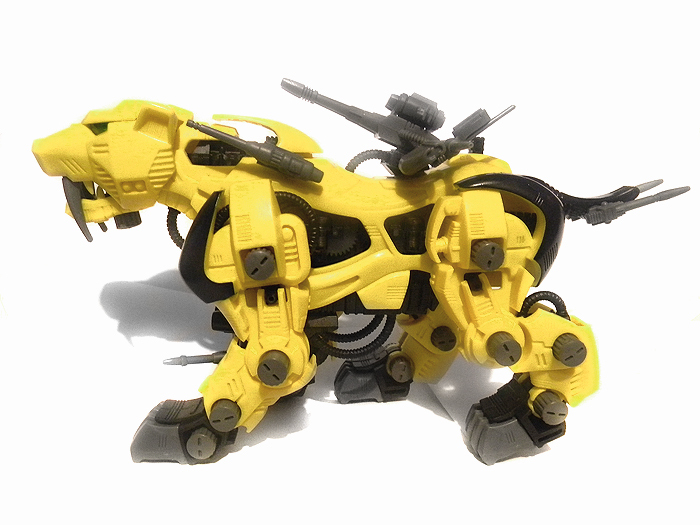 As a motorized Zoid, the Zaber Fang has a few actions that can be carried out once completed. 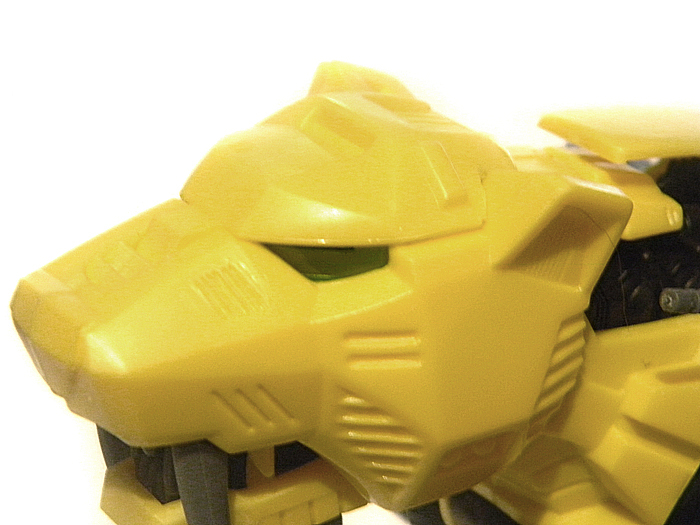 With the proper batteries, the Zoid will walk forward, while opening and closing the jaw.